Is Double-Dipping Really That Bad for Your Fellow Dippers? I’m a firm believer that the perfect dip-to-chip ratio involves more dip than chip, which means I’m also a huge proponent of double-dipping, triple-dipping and even quadruple-dipping (and then sticking my fingers in and licking them). 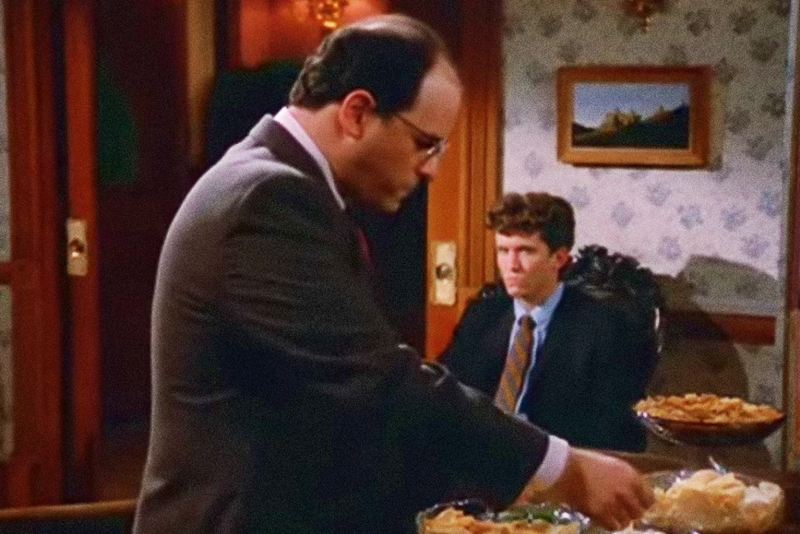 Now, it should be said that while I’m a double-dipper, I’m not really one of those reckless double-dippers—you know, the ones who dip the spit-covered, already-bitten end of the chip directly back into the dip. With an immense amount of respect for my fellow dippers, I always turn the chip around to double-dip from the unbitten end (I’ll only go for further dips if enough untouched chip remains). But is my morally superior double-dipping technique really as harmless as I’ve made it out to be all these years? A series of published experiments from 2009 titled “Effect of Biting Before Dipping (Double-Dipping) Chips on the Bacterial Population of Dipping Solution” attempted to answer just that. According to the experiments, which were performed at Clemson University in South Carolina, double-dipping significantly increases the amount of bacteria in said dip, and certain dips are more prone to contamination than others: Salsa, for instance, took on approximately five times more bacteria (about 1,000 per milliliter of dip) from the bitten chip when compared to chocolate and cheese dips, which can be explained by their differences in thickness and acidity. Wait, though, there’s more! Considering virtually everything is coated in a fresh layer of squirming bacteria all the time, is the additional bacteria resulting from my double-dipping actually something my fellow dippers need to worry about? While this research certainly raises the possibility that a sick person might spread their sickness by double-dipping, the truth is, their harmful bacteria is more than likely already all over the room (and everyone in it) by means of sneezing, coughing and shaking hands. Case in point: A recent study found that a single sick colleague can contaminate 50 percent of surfaces and employees in an 80-person office in just four hours, suggesting that double-dipping is only one of many, many ways to spread germs. The upshot here is that, while double-dipping is definitely one of those “not so good” things—we should avoid the spread of bacteria as much as possible—the truth is, you’ve probably already shared your germs with everyone at the party long before you even make it to the snack table.